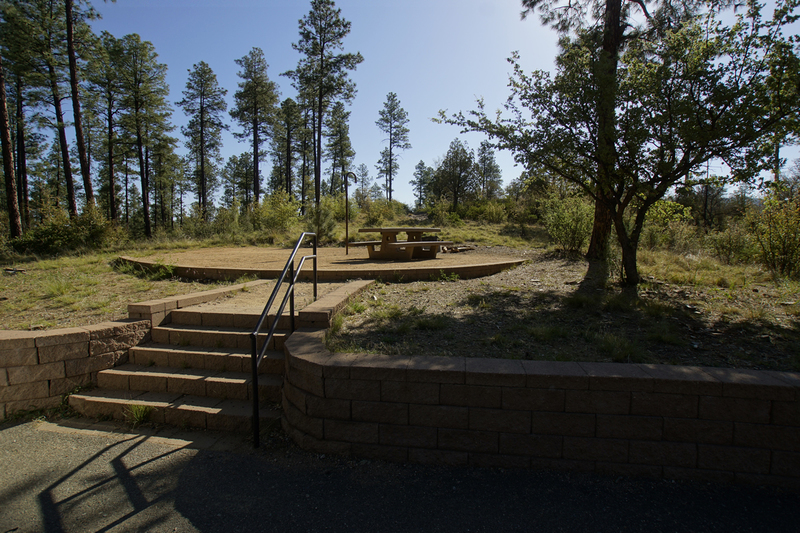 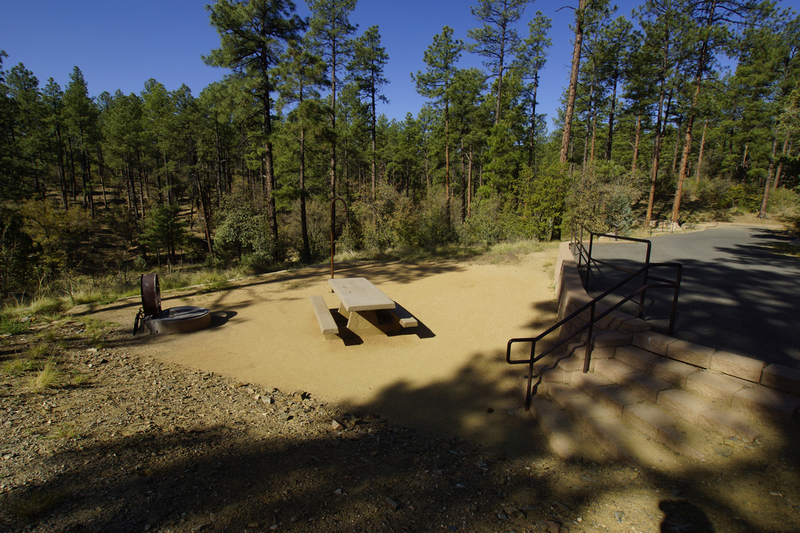 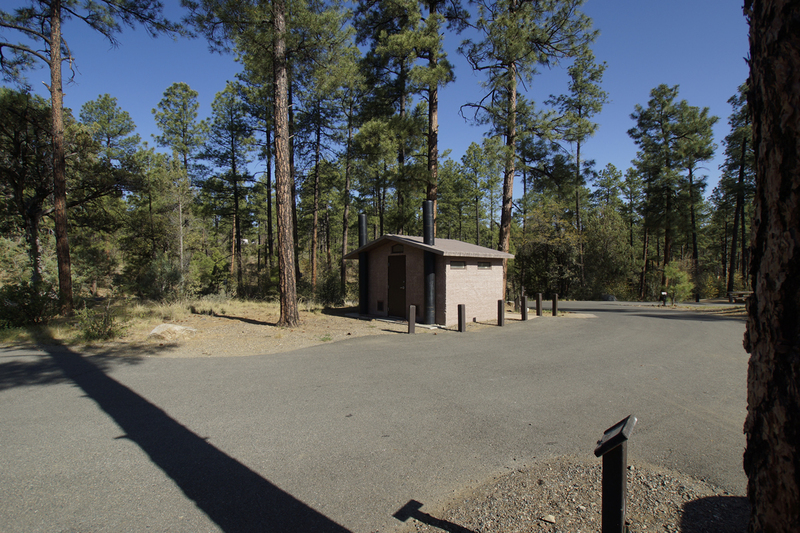 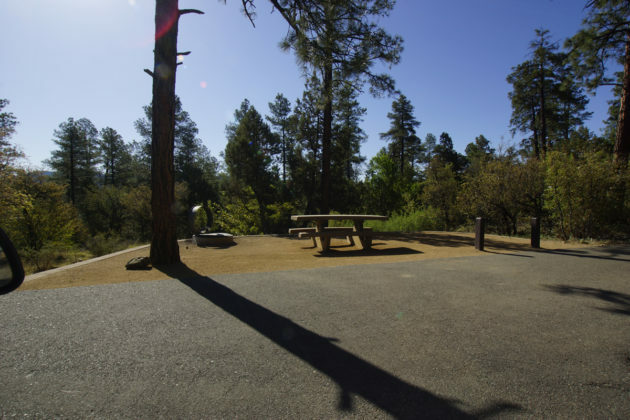 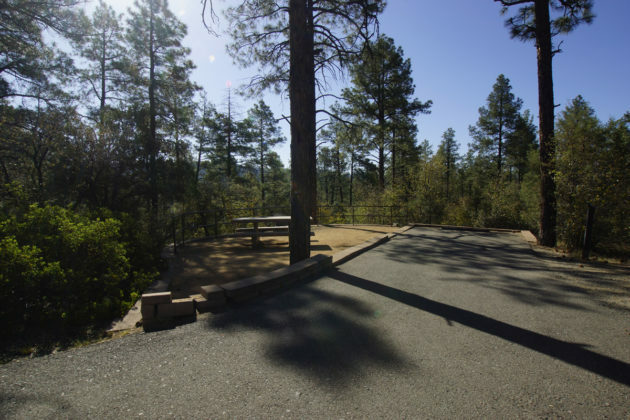 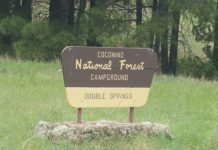 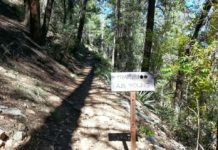 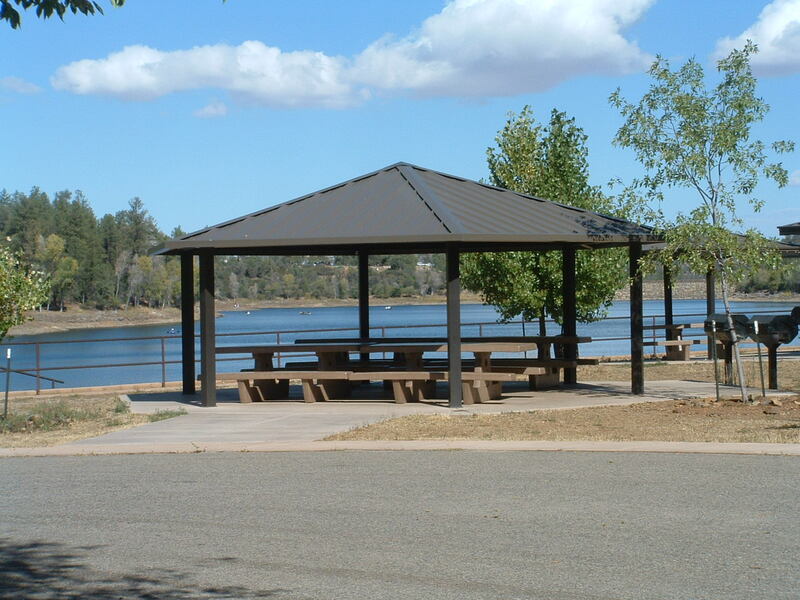 Lynx Lake Campground is a one of the most popular areas to camp in the Bradshaw Mountains. 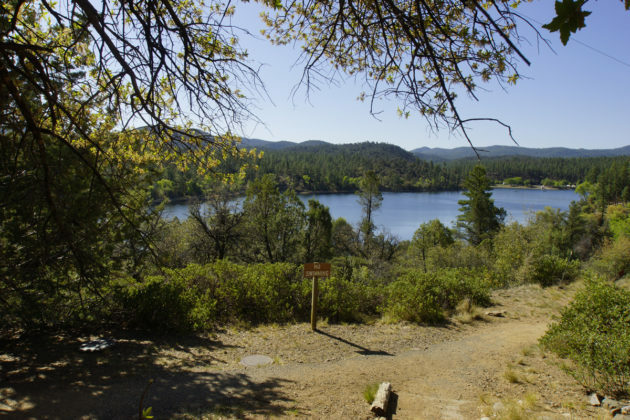 Activities include fishing, boating, gold panning and picnicking. The campground sits on the western side of the lake and is paved. 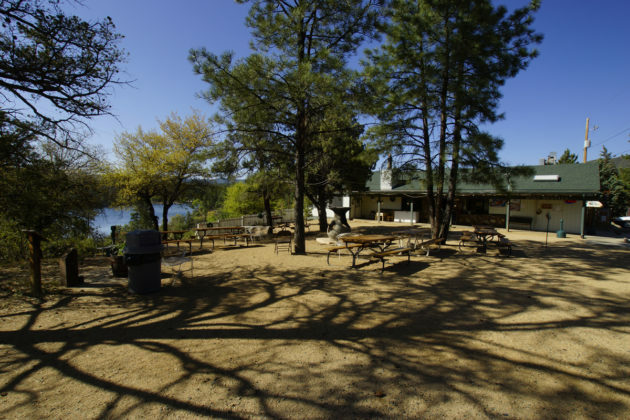 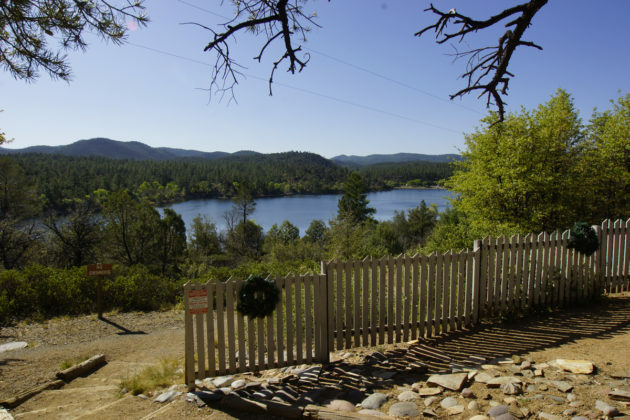 There is a well stocked store on the north edge on the lake and if you can’t find what you need there, Prescott is only a few miles away. 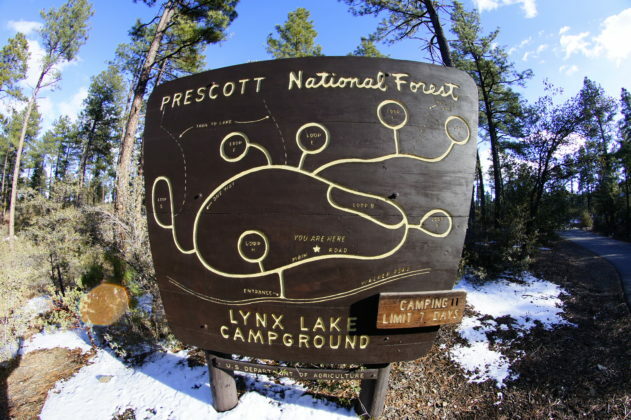 36 campsites are available for reservation. 4 double campsites are available for small groups. 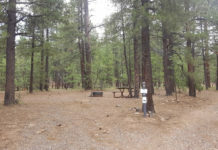 Water is available for use on site, but not for RV water tanks. Each campsite usually accommodates one vehicle towing a camp trailer plus one additional vehicle (there is a charge for addition vehicles). 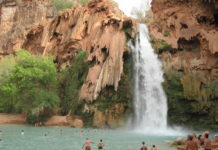 Sites are recommended for 5 people and a maximum of 10 people. At least one person must occupy a campsite on the first night after camping equipment is set up. 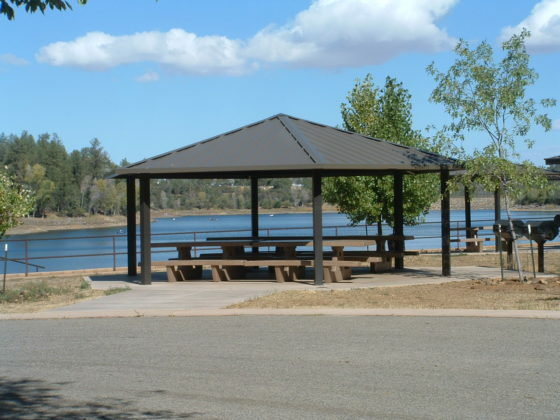 Fishing includes rainbow trout, crappie, large mouth bass, channel catfish and sunfish. 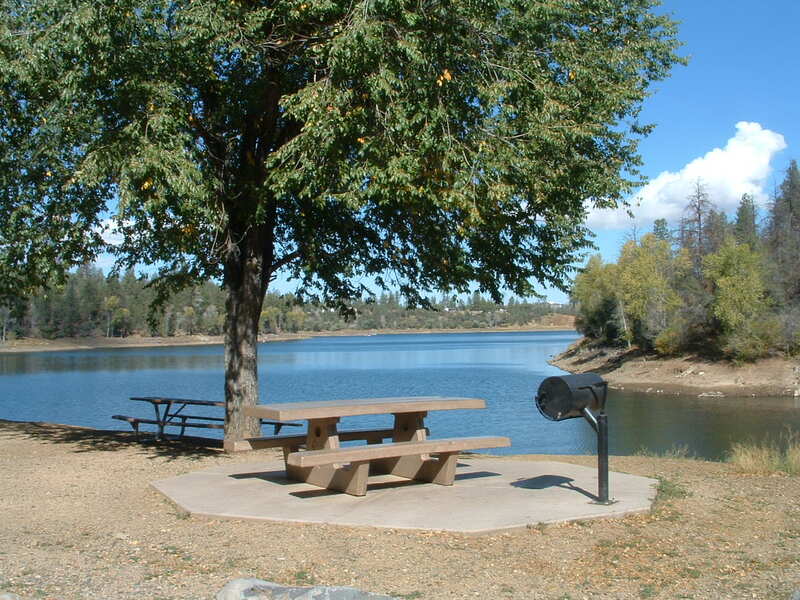 A small boat ramp is located on the south end of the lake. Boating is limited to electric motor only. Lynx Lake has both vault and flush toilets for your convenience but no showers, RV hookups or a dump station. 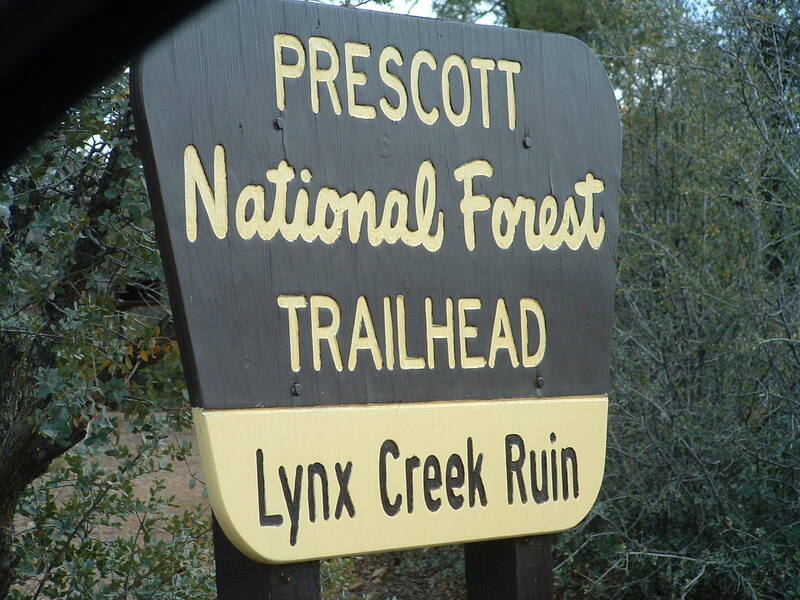 From Prescott, travel east on hwy 69 for approx 5 miles to FR 197 (Walker Road, look for the Costco). 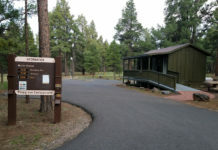 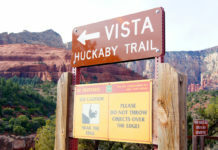 Take Walker road south 3 miles to the campground entrance on the left.